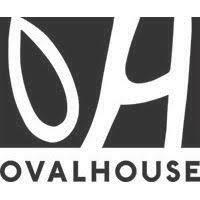 Home / Posts tagged "Ovalhouse"
We spent an unseasonally warm day in London on Wednesday with Stella Kanu – Exec Producer at Ovalhouse – and her colleagues. We’d been asked to deliver a training session on unconscious bias as part of a comprehensive development programme for staff at the theatre. It was a pleasure to spend time with an interesting group of colleagues, working through how an understanding of unconscious bias can be used as one of the ways to tackle unfairness and inequalities in the workplace. Interesting, too, to think about its limitations and how it fits into the panoply of approaches to equality and diversity that have come in and out of favour over the years. We are of the view that unconscious bias has its place in helping us to understand and conceptualise inequalities; there have been many such terms over the years. What matters and what can bring about real and lasting change is action driven by conviction. I’m not interested in anybody’s guilt. Guilt is a luxury that we can no longer afford. I know you didn’t do it, and I didn’t do it either, but I’m responsible for it because I am a man and a citizen of this country and you are responsible for it, for the very same reason. Thanks to Stella and her colleagues for a stimulating afternoon and excellent food.